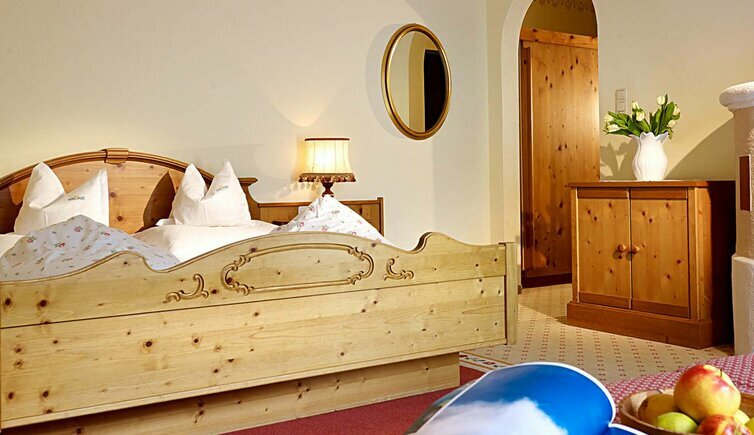 The village Vent is located at 1,900 metres and surrounded by the majestic Ötztal mountains, offering a fantastic 360-degree round view as well as the ideal starting point for a variety of mountain adventures. The Pirpamer-Moser family loves the mountains dearly, a love that they are only too happy to share with their guests, providing them with lots of helpful tips and advice. In summer, you can start your leisurely alpine hikes or high-alpine tours, including glacier tours, directly in front of the hotel; in winter, you can hit the great outdoors on skis! The area surrounding our hotel is blessed with lots of snow in winter and thus ideal for ski touring, winter hiking and snowshoeing. Also downhill skiers will get their full money’s worth at our hotel. The small but lovely Vent ski resort is located directly outside the hotel door. If you are looking for a larger playground for your ski ventures, you can reach the legendary Sölden ski resort after a short drive and set out to explore these unique glaciers towering up to heights of 3,340 metres. After an eventful hiking- or skiing day there is probably nothing better than taking a refreshing plunge into our “little mountain lake”. Highlights of this pool made from Ötztal granite are the counter current and the underwater massage. For even more relaxation hit our sauna village with Finnish sauna, steam bath and relax room! In the course of the Post gourmet board, you enjoy a luxury breakfast buffet in the morning and a five-course dinner menu in the evening accompanied by a selection of premium wines. Host Gerhard is a trained sommelier and happy to recommend you the matching wine to go with your meal. Make sure to ask for him when in this former wine farm and sample the one or other wine in his company. Apartment house at the entrance to VENT. In-house dining lounge with á la carte restaurant and pizzeria. Spacious sauna and gym corner. Admission to indoor pool and wellness-area at Hotel Post - at 100m. 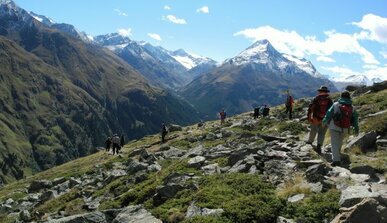 Programm with guided mountain excursions! Spacious double room (ca. 31 m²) without balcony, with cosy corner-seating unit and pull-out couch, tiled stove, bathroom with bath and WC, Wifi, telephone, radio, TV, room safe. Spacious double room (ca. 31 m²) with balcony, with cosy corner-seating unit and pull-out couch, tiled stove, bathroom with bath and WC, Wifi, telephone, radio, TV, room safe. Spacious suite (ca. 60 m²) with extra bedroom, wardrobe, living room with corner-seating unit and tiled stove, pull-out couch, desk, bathroom with shower, bath, double basin and separate WC, Wifi, telephone, radio, 2 TVs, room safe and balcony. A "Similaun" suite and junior suite "Talleit" interconnected (ca. 96 m²), two bathrooms with separate WC, WiFi, telephone, radio, 3 TVs, room safe, and balcony. Venterstr 47 - 6458 Vent 1894 m a.s.l. Vent is the most renowned among the Tyrolean mountaineering villages and exemplary member of the initiative “Mountaineering villages” founded by the Alpine Union. 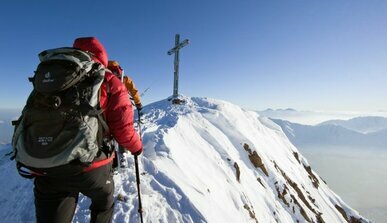 Every day, a new mountain experience – if you are a passionate mountaineer, this package is for you! We will be climbing high mountains and enjoying pleasurable hikes. Connoisseurs, this one is for you! 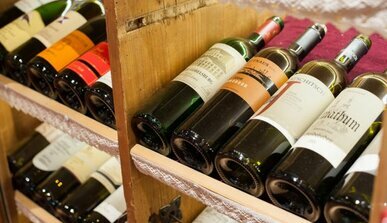 During this week we will spoil your palate with delicious menus and matching wines recommended by our sommelier. Do you know the famous man from the ice? 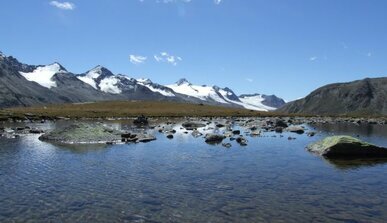 We will follow his trails together and find out more about his life and the spectacular find nearby our Similaun hut. Hotel Post (Vent) is responsible for the content of this page.